BOSTON—Charges were unsealed today in federal court against a former Department of Defense (DOD) contractor for the U.S. Army in Kuwait for making a false statement on his security clearance form and for damaging Army computers. Wei Chen, 61, of Westfield, Mass., was charged with one count of making a false statement and one count of damaging computers. The indictment, which was filed on July 23, 2015, was unsealed today after Chen’s arrest. According to the indictment, Chen, a computer system administrator, applied for a job as a DOD contractor—a job that required him to have a Secret-level security clearance. To obtain that clearance, he needed to complete a questionnaire called the SF86, on which he acknowledged that he knew that a false statement on the form could be punished by imprisonment. Nonetheless, in response to the form’s question about whether he had ever served in a foreign country’s military, Chen falsely answered, “no.” In fact, Chen, who is a naturalized U.S. citizen, served from approximately 1971 to 1976 in an anti-aircraft unit in China’s People’s Liberation Army. After making this false statement on the SF86, the indictment charges, Chen was hired as a DOD contractor and worked as a system administrator at Camp Buehring, a large U.S. Army base in Kuwait. Chen knew that Army policy prohibited personnel from connecting personally-owned thumb drives to Army computer systems. Chen also knew that personnel were prohibited from connecting even government-owned thumb drives to Army computer systems unless they had received a specific exemption from this policy. Chen had not received such an exemption. 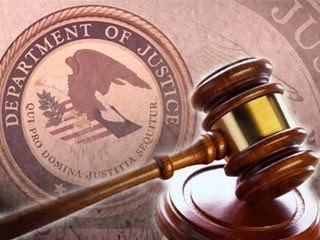 The indictment charges, on approximately June 15 and 16, 2013, in violation of Army computer security policy, Chen connected one or more personally-owned thumb drives to computers at Camp Buehring that were connected to the Army’s unclassified network and the classified Secret-level network. After connecting his personally-owned thumb drive to the Secret-level network server, Chen made an effort to cover his tracks and hide his security violation. Specifically, he deleted network logs on the server that would have documented his connection of the personally-owned thumb drive to the network server. Chen also copied a computer file, containing saved e-mail and documents, from his Secret-level workstation onto his personally-owned thumb drive, in violation of Army computer security policy. On the charge of damaging a computer, Chen faces a maximum sentence of 10 years in prison to be followed by three years of supervised release, a fine of $250,000 and forfeiture. On the false statement charge, the maximum sentence is five years in prison to be followed by three years of supervised release, a fine of $250,000 and forfeiture. Actual sentences for federal crimes are typically less than the maximum penalties. Sentences are imposed by a federal district court judge based upon the U.S. Sentencing Guidelines and other statutory factors. U.S. Attorney Ortiz, Special Agent in Charge Lisi and Director Andrews made the announcement today. The case is being prosecuted by Assistant U.S. Attorneys Adam Bookbinder, of Ortiz’s Cybercrime Unit, and Stephanie Siegmann, of Ortiz’s Anti-Terrorism and National Security Unit.